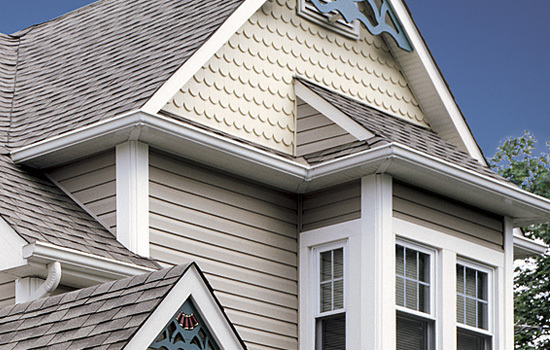 Vinyl siding prices like all other products depend on the quality of the siding. Some vinyl sidings are better than others. Some cost more money because of some special attribute the siding has. Like life time warranty, or designed for areas with very high winds. Between the economy brand and the super premium brand lie many other sidings to fit any homeowners needs and expectations. Generally vinyl siding prices depend on it's thickness. Thinner brands called economy brands to thicker brands called premium grades. If you have an average two story house that is approximately 25 ' by 45'. Add up all the lengths of the walls, and multiply by the height of the house. 25+45+25+45=140' x 20' (height of house) = 2,800 sq ft of exterior walls. Now you have a rough idea of the cost to install new siding on your house. Click here to get more information on how to measure your house. Price is generally reflected by how thick the vinyl siding is. The thicker the siding the more expensive it is. These are examples only and manufacturers change them sometimes. Some of the top end premium grades can run 1 inch thick and come with lifetime warranties. So always look at the brochures and make note of the thickness and the warranties. Write this down in your workbook for easy comparisons. Once you know how big your house is and what quality of siding you are interested in, you can easily get a ball park budget to work with. What grade of vinyl siding do you want for your house. When you have this information, you can establish you overall budget and then work toward that number. Homeowners need to have this information already in hand before calling contractors. Otherwise how would you be able to compare different prices from different contractors all using different materials? Also keep in mind that when you are looking vinyl siding prices and comparing different brands, once you choose the siding that best fits your budget and your house, that is only one part of the total cost of installation. The work the contractor has to do to get your house ready for the new siding is a major thing and can add considerably to the final price you pay. When you do call several contractors, you should have the vinyl siding type, style, texture, color and warranty information written down to give to each contractor. Tell each contractor that you have researched vinyl siding prices of different brands and you like this particular one. Ask for his opinion. That way you can spend more time talking about how he is going to do your job and what materials he uses, and what he charges for labor, etc,. Do you have a good story or a question about saving money on vinyl siding? How did you compare vinyl siding prices? Please share it with us. If you are a homeowner and have a tip or suggestion that could be used to get a better price when shopping for vinyl siding, please share your story. If you are a contractor with helpful tips on getting the best prices, please share your story also. My Tip To Save You Money or My Question? Do you have some pictures or graphics to add? Great! Upload up to 3 images. I got three price quotes and they are all different? Whether a vinyl siding is insulated or not will be a big factor in the vinyl siding prices you get from contractors. 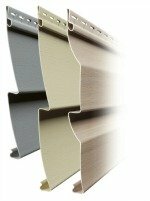 Insulated siding is siding that has a factory installed backing attached. It costs more money up front but will save you on your energy costs over time. Be sure to ask your contractor for a price on insulated siding and determine if it fits your budget or not. Insulated siding is more expensive but helps save energy costs over time. Insulated siding is an add-on. It costs more than standard vinyl sidings. It usually comes with a factory applied insulation attached to the back side of the siding. Even though it costs more up front it can save you considerably on energy costs over the years to come. Choosing insulated vinyl siding can add 25% or more to the price of your siding. When getting prices from several different contractors, it is very important that you ask each contractor what grade of siding he is giving you a price on and whether it is insulated or non-insulated. 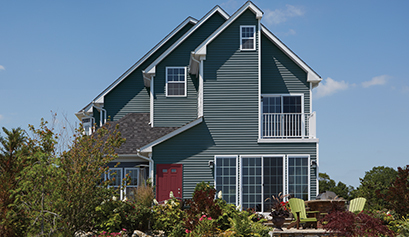 Click here to learn more about "Insulated Vinyl Siding. Don't forget to cover all your exterior trim, corners and overhangs. Your siding covers the main parts of the exterior of your house. But every corner on your house, both the tops and bottoms of each wall, and around all openings such as windows, doors, garage doors, vents, outlets, etc. can all be covered so that you never have to paint. Remember, If you cover it you don't have to paint it! These 'specialty' items are generally referred to as accessories or add-on's because you can choose to add or not to add them. They are bought when you buy your siding, as needed. Every house has different numbers of corners, doors, and openings so the cost of add-on's will be different for every house. These items add additional costs to your project because it requires the contractor to do extra work. That is why they are called add-on's. You add on the items you need. And like any other product, accessories come in several different qualities or grades. 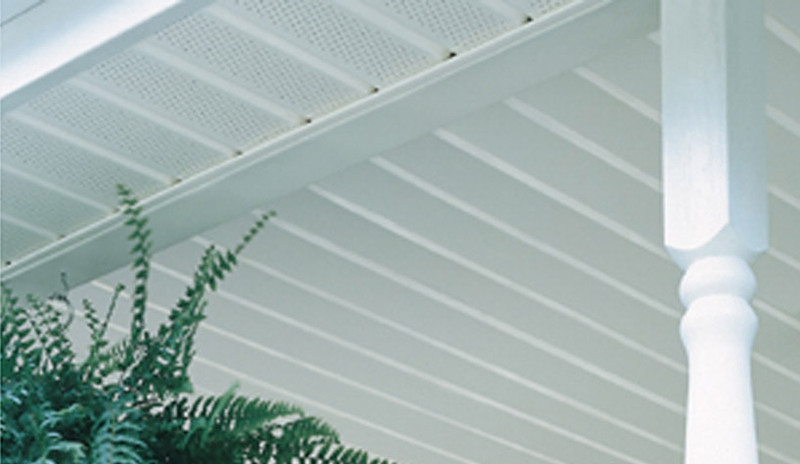 Accessories also come in the same or coordinating colors of the vinyl siding you choose. Shown here is CertainTeed Vinyl Siding and vinyl trim. Notice how every inch of the exterior is covered. Around windows, corners, facia and soffit. The ceiling of the porch is also covered, no painting here. Every house is different and each house has a different number of corners, windows and doors, vents, and outlets. So it is impossible for any contractor to give you an accurate price over the phone. 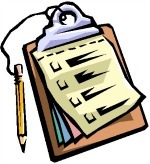 Contractors must come and look at your house and make careful notes on what you will or will not need. Go over each item with the contractor to make sure it is what you need or want. Each corner on your house has to have specific parts to complete the job. Inside corners are different from outside corners. The ends of the vinyl siding need to be covered also in order to prevent weather such as rain and snow from getting behind the vinyl siding. The siding must seal up against the windows and doors to keep rain out too. Like other products, there are economy accessories and premium accessories. Always choose the best quality accessories that fits your budget. You only want to have to cover it one time. 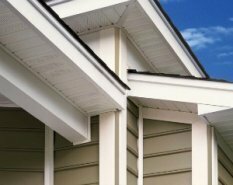 For a more in-depth look at vinyl siding pricing click here. Click here to review more of the total costs associated with installing vinyl siding on your house. Always go over all trim items and all accessories or add-on's with your contractor so each of you know what is included and what is not included in your price. How do you find out what the going vinyl siding prices are in your area? Very simply, just call several big box stores and ask them. Better yet, jump into your car and go look. And don't forget to look online. If you call, or go to the big box stores like Home Depot and Lowe's, go to the siding section and ask them 'what are contractors charging to install siding' and 'what are your vinyl siding prices'? They work with local contractors all the time and keep up with what is going on in your area. While you are at the home improvement stores, pick up all the brochures so you can come home and review the different products. Cut out the pictures and tape them in your workbook for easy reference. Always take your workbook with you when looking at different products. Just use your workbook as a reference guide to compare different styles, textures, prices, etc. while you are there shopping. This saves a lot of time. You can compare warranties, colors, textures while looking at the different products. Example of some vinyl siding prices. Average price range around $5 to $5.50 sq ft.
Generally runs about $7 to $8 per square foot. The price of the siding is only one part of the pricing. Every house is different and has more or less corners, insets, porches and overhangs. The more corners you have the more labor is involved in installing the siding. If you have a lot of windows frames that need covered, that too requires extra labor. Are you removing the old siding from your house? That also takes more man hours to remove and haul away. That is why no contractor can give you an accurate price over the phone. 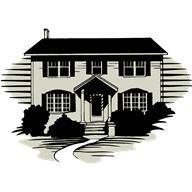 A contractor must come see your house to know what extras you will need and how much work will be required to make your house ready for the new siding. Each house is different and will require more or less labor to install the siding. There are many factors that influence total prices or costs. Before you start calling contractors for prices, you need to have a good understanding of what products you are interested in and how much repair work if any you are wanting the contractor to do for you. You should go over very carefully with each contractor all the details of your project. You need to ask very specific questions to each contractor as it relates to what you expect him to do for you and what is and is not included in his price. This is the only way to compare the different prices apples 2 apples. Write down in your 'project workbook' what they tell you. How are they going to seal up all the openings, and what materials are they going to use, and most importantly, what are they going to charge you for doing it! Vinyl siding prices are just one part of a remodeling project. The contractor must look at other factors when giving you a price. The number of stories or floors will impact the price, whether you choose insulated or non-insulated vinyl siding. This is why it is important to have a project workbook with all your information written down. That way you can go over each and every detail with each contractor. Each contractor that you ask to give you a price must be using the same information or you will not be able to compare the vinyl siding prices apples 2 apples.